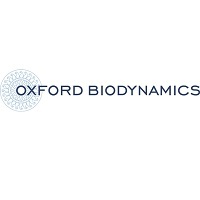 Oxford BioDynamics Plc (LON:OBD), a biotechnology company focused on the discovery and development of epigenetic biomarkers based on regulatory genome architecture, for use within the pharmaceutical and biotechnology industry, today announced the grant of a key patent by the Canadian Intellectual Property Office covering EpiSwitch™, the Company’s novel technology platform. The Canadian patent, number 2642331, covers OBD’s proprietary EpiSwitch™ technology designs for high resolution discovery and monitoring of regulatory conditional chromosome conformation signatures, as part of the regulatory architecture of the genome. As a biomarker modality, chromosome conformations have been shown to deliver highly informative stratifications of complex patient phenotypes, assist in better disease understanding and target identifications, and show high concordance with complex genetic and gene expression profiles. Predictive and prognostic stratifications developed by OBD on the basis of its proprietary EpiSwitchTM technology already offer significant improvements in patient stratifications, de-risking of drug discovery and development, and upgraded regulatory and market protection. This patent will further extend coverage of OBD’s proprietary technology platform, EpiSwitch™, in this important market. Counterparts to this patent have already been granted in the USA, Europe, China, Japan, Australia, India, Hong Kong, New Zealand, Singapore and South Africa.